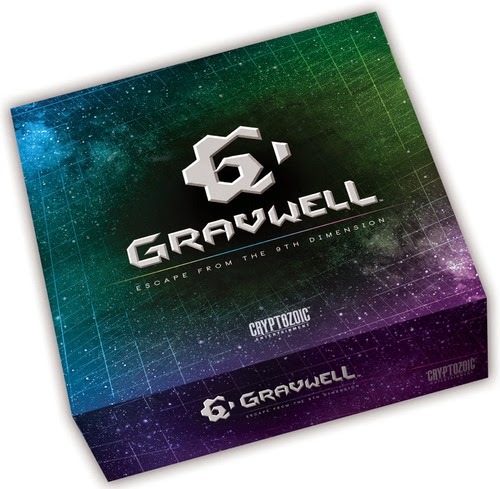 New in from Cryptozoic is Gravwell, a game centered around gravity. 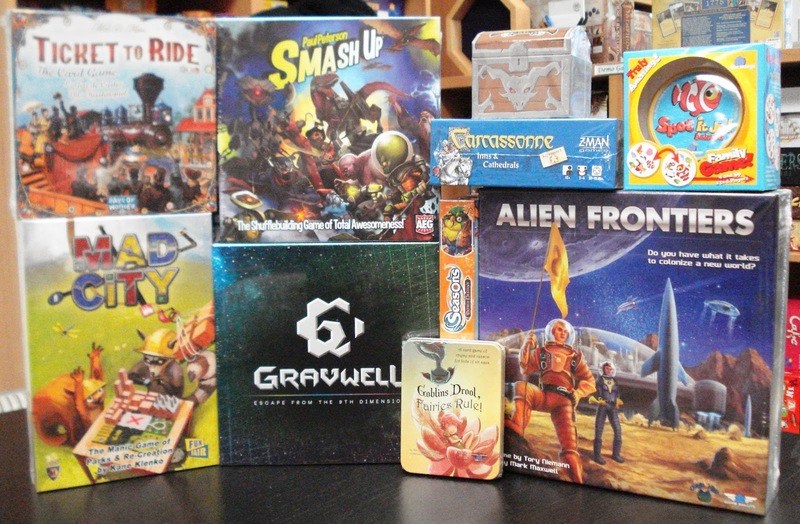 We got a chance to play Gravwell at the game trade show that we recently attended. Players are trapped in the center of a gravity well. Using fuel cards that indicate a chemical element symbol (determines player order) and a thrust value (movement), players spiral their way towards the exit portal. Based on where your opponents' ships are in relation to your ship you may get propelled backwards when you want to move forward. Tractor beam cards and Repulsor Ray cards provide additional methods of planning your movements. Gravwell is easy to learn and fast to play and challenges players to predict how others will move...typically with hilarious results. 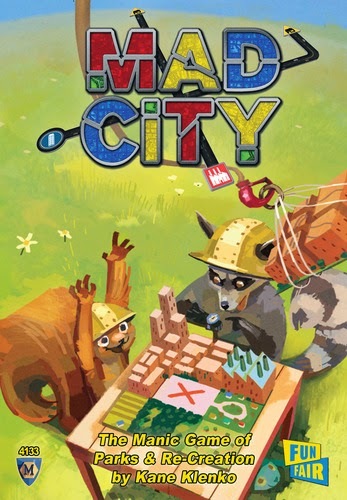 Just released and new in from Mayfair Games is Mad City. This is another game that we got a chance to play at the game trade show that we recently attended. 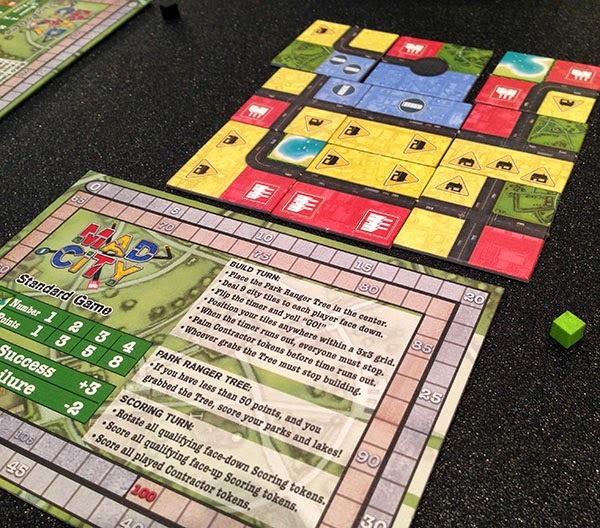 Mad City is a game in which players are city builders racing against time, and each other, to build the best city. On each round players will be dealt 9 tiles face down. Once the timer is set, players will have one minute to flip over and arrange their tiles in a 3x3 grid trying to maximize the most beneficial configuration. Score points for each of your zoning types and bonus points for parks and ponds, longest continuous road, and more. A unique scoring system allows players to focus or diversify their building style. 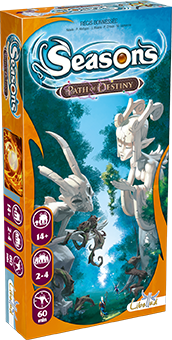 New in from Asmodee is Seasons Path of Destiny, the 2nd expansion pack to the base game Seasons. Path of Destiny features new Power cards and new Enchantment cards. Strengthen your arsenal with 6 Special Ability tokens and roll the Die of Destiny to guide your fate. 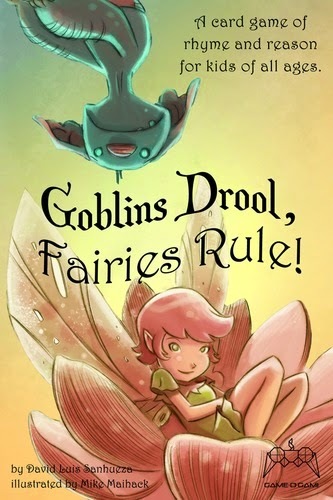 In from Game-O-Gami is Goblins Drool, Fairies Rule!, a card game of rhyme and reason aimed at kids 7 and up. Goblins Drool, Fairies Rule! consists of 20 unique cards. Each card has 2 sides, one depicting a goblin and a symbol, the other a fairy and a symbol. The names of the Fairies and Goblins are divided into 5 different rhyming groups. All players can see each other's cards on the table at all times, so there is no secrecy. The object of Goblins Drool, Fairies Rule!, is to be the 1st player with no Goblins or to have 6 Fairies in their player space at the end of their turn. You do this by playing cards from your play area to the Fairy Ring in the center of the table. If the names of any cards in the Fairy Ring rhyme with the name of the card you added, flip them over: Goblins become Fairies and Fairies become Goblins. Then you must take and place in your play area all cards from the Fairy Ring that match the symbol on the card you just added.